Jeannette Milgrom is Professor of Psychology, Melbourne School of Psychological Sciences, University of Melbourne and Director of the Parent-Infant Research Institute and Clinical and Health Psychology, Austin Health, Melbourne. She has established a psychology hospital department that integrates clinical services, research and teaching. Dr. Milgrom convened the Doctor of Psychology (Health), University of Melbourne (1999-2008) and has to date supervised 9 PhD, 17 D.Psych (Health/Clinical), 8 MA/Sc, 1 BSc (Hons) and 5 BGrad Dip students. She was Chair of the National Executive of the College of Health Psychologists, Australian Psychological Society, 2002-06. Dr. Milgrom established the Parent‐Infant Research Institute (PIRI) in 2001 as a centre of excellence conducting basic and applied research with a focus on high-risk infants, postnatal depression, prematurity, developing psychological treatments (mothers, fathers and babies) and supporting families. Dr. Milgrom established the Parent-Infant Research Institute (PIRI) http://www.piri.org.au with the aim of supporting all parents and their babies to have the best possible start to life. PIRI’s activities are designed to improve emotional wellbeing (mothers and fathers) and optimize development (of infants) in the perinatal period. PIRI activities include public health initiatives, research and training. She has had a major role in Australia with beyondblue through the National Perinatal Depression Initiative which has since 2001 strived to make available universal screening for depression for all Australian families. She was part of a beyondblue national consortium, and PIRI was responsible for screening 10,000 women in two States for perinatal depression. She was first author of a paper on psychosocial risk factors for postnatal depression based on a sample of 40,333 women through this national collaboration. Dr. Milgrom subsequently was the health professional representative on the beyondblue Project Reference Group working with States and Territories to progress implementation of the National Perinatal Depression Initiative. She was also Chair of the beyondblue National Workforce Training and Development Committee (2010-11) and centrally involved in developing the beyondblue online screening training program for health professionals. Most recently, Dr. Milgrom has developed e-treatments for antenatal and postnatal depression which have been shown to be highly effective in RCTs. She is now engaged in translation of research to practice and wide-scale implementation. Her current research focuses on the impact of antenatal depression on child development. She is recipient of over 70 research grants including three National and Health Medical Research grants (2006–15), investigating neurobehavioural development in preterm infants and internet treatment for postnatal depression, including a father’s website. She is lead investigator on a number of randomized trials treating antenatal and postnatal depression and the mother-infant relationship. Dr. Milgrom is author of 8 books (two translated into Italian and one into Dutch), 18 chapters and 126 scientific articles. 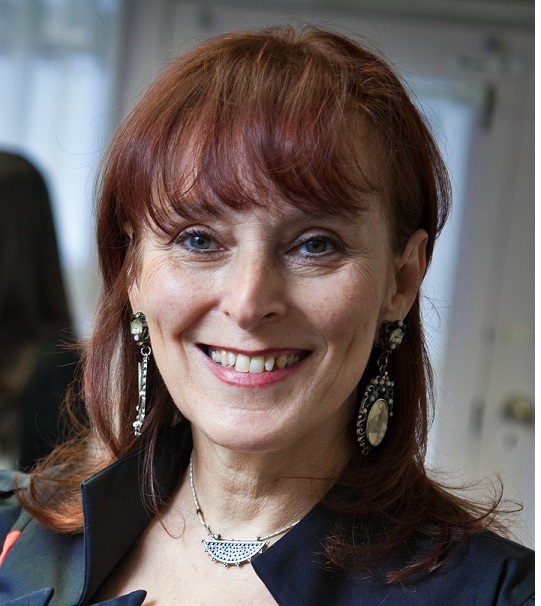 Dr. Milgrom participated in a variety of events, discussions, and activities, engaging with Midwifery faculty, clinicians, researchers and students alike. With Midwifery students, she discussed how to support women with perinatal mental health issues in practice, and presented to Midwives on the topic of “Perinatal Mental Health: Understanding screening and support in pregnancy and postpartum”, followed by an open-forum discussion. Then she joined the BC Midwifery Network Community of Practice to discuss “Practicalities of Perinatal Mental Health research: from Research to Implementation”, and presented at Reproductive Mental Health Academic Rounds. Finally, Dr. Milgrom presented the public lecture “Understanding Perinatal Mental Health: Self-guided interventions in pregnancy and postpartum“. All in all, the events were a great success!